Former three-time, two-division world champion, “El Gallo” Jose Antonio Rivera (41-6-1, 24 KOs) will return to the ring after a seven-year absence this Friday, August 17th to take on the battled-tested veteran, Larry “Slomoshun” Smith (10-37-1, 7 KOs) in the main event, on a night in which his son, AJ, who was born with Spina bifida, was going to make his professional debut. AJ’s CT scan revealed fluid on his brain, so the Massachusetts State Athletic Commission ordered him to take a neurological exam, which could not be arranged until after the fight, so he was not cleared to box on this fight card. AJ wants to fight once and then hopefully retire undefeated. If he had fought, he would have been the first fighter born with Spina bifida (a birth defect that attacks the spinal cord and leads to weakness and paralysis in your legs and delayed learning) to have fought professionally. It would have also been the first time that a world champion father, and son fought on the same pro card that is promoted by their company. Even though AJ will not fight this Friday, he and his father have helped raise a lot of awareness for Spina bifida and they will donate a portion of the proceeds from this seven-bout card to the Spina Bifida Association of Greater New England. It is extremely remarkable that AJ was so close to making his professional debut considering that doctors told his family when he was born that he would remain in a wheelchair for the rest of his life, be autistic, and not live past the age of 19. Yet, he overcame the odds with a lot of hard work, dedication, and perseverance and had a brief, but successful amateur career which spanned twenty bouts, and today, lives a healthy life. “My son is a pretty remarkable individual who overcome a lot of trials and tribulations early on in life and went on to graduate from Johnson & Wales [with a degree in sports management] and is doing a fantastic job at running our promotional company, [Rivera Promotions Entertainment],” said Rivera. The fight card which has been renamed “Homecoming” is promoted Granite Chin Promotions (co-owned by Chuck Shearns and professional fighter, Chris Traietti (26-4, 21 KOs)), in association with Rivera Promotions Entertainment (co-owned by Jose and AJ). He has won his last three professional bouts, which were fought at 160-pounds, the same weight that he will box Smith at in a scheduled eight-round bout. Rivera retired in 2008 for a variety of reasons and made brief comeback in 2011, winning two more fights before he retired again. Despite coming off the longest layoff of his career, working full-time as a court officer at the Worcester Trial Court, and being 45-years-old, Rivera feels like he has never left the sport. He will fight at least one more time after this upcoming bout, which will give him fifty professional fights for his career. As to whether he boxes beyond these two bouts, it will depend on a variety of factors, such as how he performs in these fights and how his body responds afterwards. Rivera vs. Smith will be held at The Worcester Palladium in what is expected to be a sold-out show. 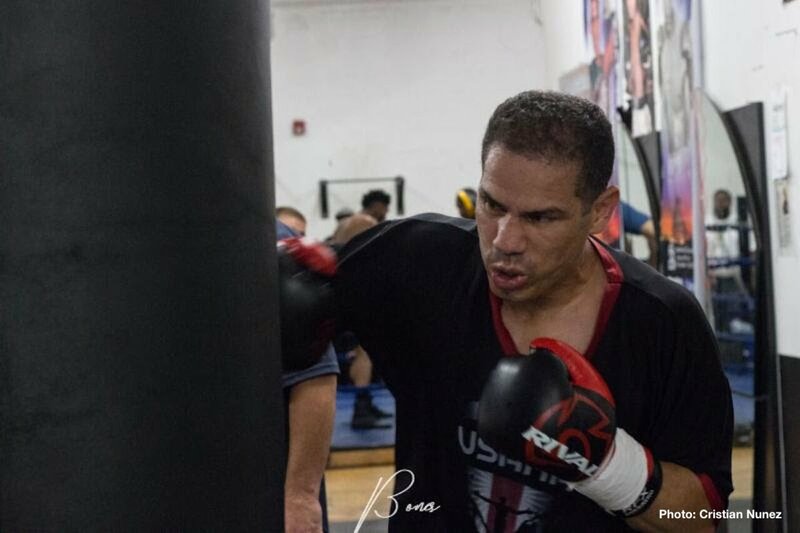 It will mark Rivera’s return to his hometown city of Worcester, which has played an integral part in his boxing career. He has fought here fifteen times (13-1-1) including two world title bouts. Rivera came up just short in an extremely debatable twelve-round split decision loss to former world titleholder, Luis Collazo in 2005, in his first title defense of his WBA world welterweight title. In his next bout the following year, he scored the most dominating performance of his career with a twelve-round unanimous decision over defending title holder, Alejandro Garcia, who he dropped five times, for the WBA super welterweight title (his third world title). 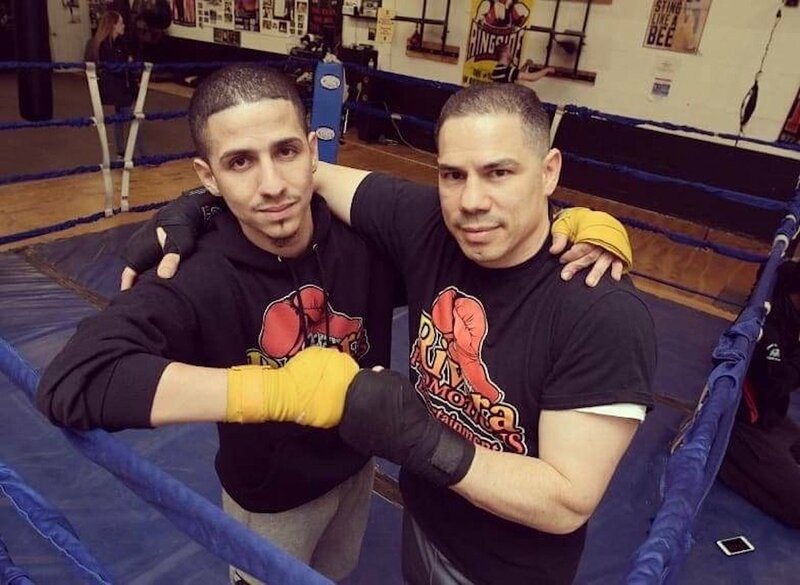 Bring boxing back in Worcester, Massachusetts after being absent for the better part of the last decade was a major reason that Jose and AJ formed their promotional company in January 2017. The easy going, hard-working, father/son duo have a great working relationship as they evenly divide their tasks. AJ, who is one of the youngest promoters in the sport at 25, handles the matchmaking, contracts, payroll, posters, and ring card girls, while Jose deals with the venue, insurance, and tickets. 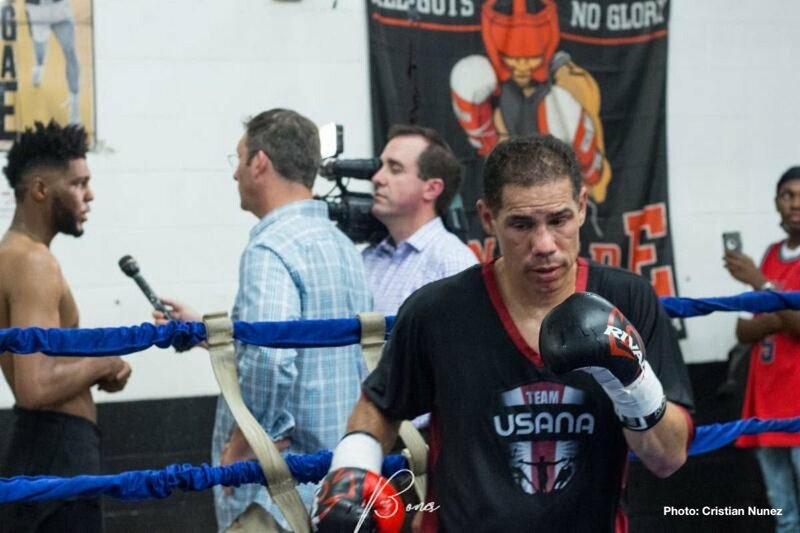 “I am happy with where our boxing promotional company is right now. This will be our sixth promotional event in the last twenty months and along the way, we have had our fair share of ups and downs, however, we have learned a lot over this time period and have positioned ourselves to finish out the year on a strong note and have set ourselves up for a successful future,” said Rivera. Rivera Promotions Entertainment wants to promote one more boxing card this year. Next year, they will look to host a couple of boxing events in Connecticut, in addition to three to four bouts in Worcester. Eventually, they want to expand their operations to other New England states, showcase bouts in bigger arenas, obtain television coverage for their fights, and start signing boxers. For more information on Rivera Promotions Entertainment and Granite Chin Promotions and the latest updates on their upcoming bouts, friend them on Facebook at RiveraPromotionsEntertainment and GraniteChin Promotions and add them on Twitter @RiveraPromoEnt, @joseriverachamp, @KingRivera_ , and @Granite_Chin. Rivera became the IBO welterweight world champion when he stopped Gilberto Flores via second-round technical knockout in 1997. Six years later, he went to Germany and beat undefeated, hometown favorite, Michael Trabant for the vacant WBA welterweight world title by a twelve-round majority decision. He is the only Massachusetts fighter who has won a world title in two different weight classes (welterweight and super welterweight).